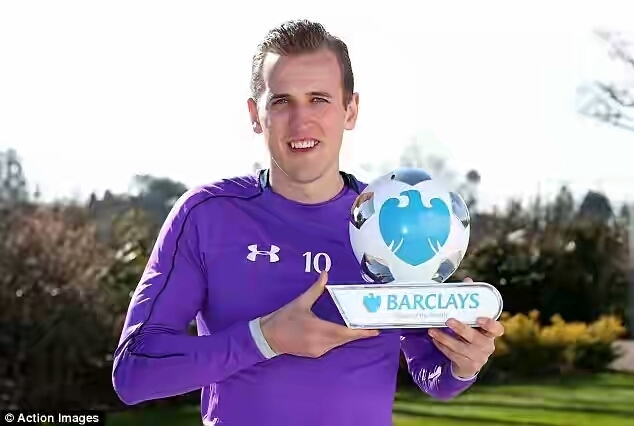 22 year old Tottenham Striker, Harry Kane has been named the Barclays Premier league player of the Month of March. If many thought he was a flash in the pan after his impressive performance last season, a stellar performance this season has proven doubters wrong. Tottenham are title contenders this year thanks to 22 goals by the in form Harry Kane and the month of March is arguably his best month yet. With five goals in four appearances with one of those goals securing a vital point against Arsenal, Harry Kane beat Dmitri Payet, Mahrez and Graziano Pelle to this month’s honors.